Q1: Read source 2. Why was Queen Mary known as "Bloody Mary"? A1: Jasper Ridley points out that during the reign of Queen Mary Tudor "283 Protestant martyrs - 227 men and 56 women - were burned alive". This is why she is known as "Bloody Mary". Ridley points out that the long-term consequences Queen Mary's rule is the fact that "it is impossible for a King or Queen of England to be a Roman Catholic or to marry a Roman Catholic; and Bloody Mary is indirectly responsible for the hatred of 'Papists' felt by the Protestants in Northern Ireland today". Q2: How does the author of source 3 attempt to defend the rule of Queen Mary? A2: Roger Lockyer argues that as a committed Catholic she believed that it was her duty to restore the "old faith" and considered it immoral to attempt to reach a compromise agreement with Protestant leaders. The simplicity of her approach, combined with her natural stubbornness, explains why this well-intentioned woman became a symbol of intolerance and cruelty." Q3: Read source 6 and describe the events in source 5. A3: Thomas Cranmer, the former Archbishop of Canterbury, recanted his Protestant faith on 21st March, 1556, in order to be spared being burnt at the stake. Despite these recantations, Queen Mary I refused to pardon him. In the speech he made just before he was burnt at the stake he explained why he recanted: "And now I come to the great thing that troubles my conscience more than anything I ever did or said in my whole life, and that the publishing of a writing contrary to the truth, which now here I renounce and refuse, as things written by my hand contrary to the truth I believed ith my whole heart, written because I feared death. Since my hand offended, it will be punished: When I come to the fire, it first will be burned." In the engraving (source 5) you can see Cranmer holding out his hand so that "it first will be burned". Q4: Read sources 8 and 13 and then explain why friends of the people burnt at the stake arranged for a bag of gunpowder to be tied to them. A4: In source 8 Nicholas Ridley called out "let the fire come to me, I cannot burn". John Foxe claims that one of the men watching the execution "pulled the faggots above, and when he saw the fire flame up, he wrested himself into that side". Jasper Ridley (source 13) points out that it it had been raining or the wind was blowing, the fire began slowly and that it took the person some time to be burnt to death. To avoid this happening "heretic's friends were allowed to bribe the executioner to allow a bag of gunpowder to be fastened to the heretic's neck or waist, so that when the flames reached the gunpowder it would explode and immediately kill the heretic." Q5: Read the page on Perotine Massey and then use the information in sources 9, 10 and 11 to explain why Protestants in Guernsey attempted to prosecute Helier Gosselin after the death of Queen Mary. A5: In 1556, Perotine Massey and her sister, Guillemine Gilbert, and their mother, Katharine Cawches, were charged with receiving a stolen goblet. At their trial it was decided that the main witness, Vincent Gosset, had lied about the goblet. The women were found not guilty. During the trial it was recorded that the three women had not been attending church. All three women were charged with heresy. The women claimed that they had been acting according to the religious policies of King Edward VI. However, according to the testimony of their neighbours, they had been unwilling to follow the religious ceremonies that had been imposed by Queen Mary. All three women were found guilty of heresy and condemned to be burnt at the stake. Perotine was pregnant. In pagan times pregnant women could not be executed, but Catholics in the sixteenth century thought it was acceptable to kill the unborn. Helier Gosselin was placed in charge of the executions that took place on 18th July 1556. All three were burnt on the same fire. According to John Foxe "Perotine, who was then great with child, did fall on her side, where happened a rueful sight, not only to the eyes of all that there stood, but also to the ears of all true-hearted Christians that shall read this history. For as the belly of the woman burst asunder by the vehemence of the flame". One of the witnesses to the execution, William House, took the baby from the fire and was laid upon the grass. Helier Gosselin ordered that "it should be carried back again, and cast into the fire". As the dead mother's uncle later complained in one of the surviving records of the incident "the baby born of one of them being taken up and cast into the fire again, four being executed, though only three had been condemned" of heresy. Q6: Most of the information about the burning of heretics in England comes from the book, Book of Martyrs (1563). Read about John Foxe and then describe the methods he used to write the book. A6: In 1557 John Foxe and his growing family moved to Basel. He worked for printer Hieronymus Froben as a translator and proof reader. While in exile Foxe worked on his history of Christian martyrdom. In August 1559 he published Foxe's Book of Martyrs in Latin. The first section dealt was entitled "Persecution of the Early Christians". Another section looked at at the persecution of Protestants in Europe during the Middle Ages. 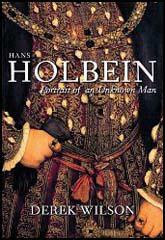 However, most of the book covered the reigns of Henry VIII, Edward VI and Mary I. It was largely based on history books by people such as Edward Hall and John Bale. Queen Elizabeth appeared to be a more tolerant monarch than Queen Mary and in October 1559 Foxe returned to England. He travelled around the country speaking to the survivors, to the friends of the victims and the the people who had witnessed heretics being burnt at the stake. He also made copies of letters written by martyrs to family and friends, while they waited in prison for their executions. Foxe also looked at the official records of their interrogations. Foxe was very concerned with providing a factual record of the names, occupations, age, and the town or village of origin of the martyrs. In 1563 Foxe published the first English edition of Foxe's Book of Martyrs. It included all the passages that he had already published in Latin, plus all the new material he had collected about the martyrs under Mary. The book had 1,721 pages and ran to 1,450,000 words. It was dedicated to the "most Christian and renowned princess, Queen Elizabeth". After the book was published, many people wrote to Foxe. Some pointed out minor errors in his book. Some gave him information which he had so far been unable to find. This material was included in the second edition published in 1570. This edition had 2,335 pages and 3,150,000 words. It was nearly four times the length of the Bible, and according to Jasper Ridley was the "longest single work which has ever been published in the English language." Q7: Study source 12. Calculate the average number of executions per year for all of the Tudor monarchs. Add another column to your table and place the monarchs in rank order (highest at the top). Number of people executed for heresy in England and Wales.